Still, getting the agreement was a huge relief to EU leaders, who had started negotiating the pact with Canada seven years ago. 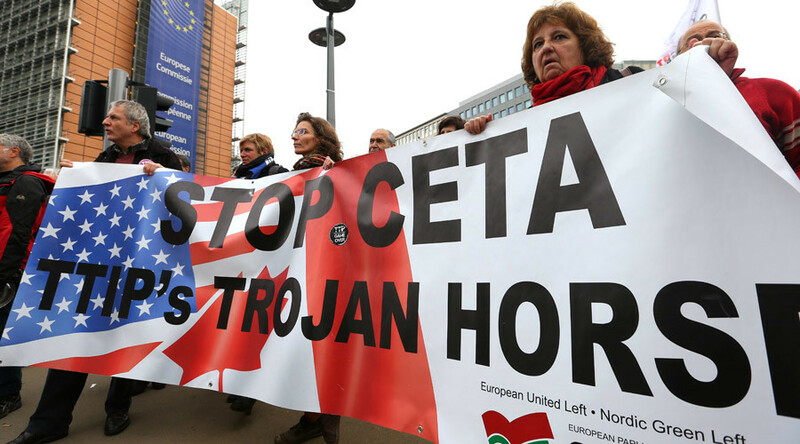 EU President Donald Tusk said he would contact Trudeau “only once all procedures are finalized for EU signing CETA,” as the trade deal is called. Alex Lawrence, the spokesman for Canada’s trade minister, said hours before that the country was prepared to sign the deal whenever Europe is ready. Trudeau earlier told Parliament he’s prepared to wait longer. “We are confident that in the coming days we will see a positive outcome for this historic deal,” Trudeau told Parliament. Beyond the Belgian regional parliaments backing the agreement, the adjustments would have to be vetted by the 27 other nations. That makes a signing ceremony on Thursday impossible. Politicians in Wallonia, which has a population of 3.6 million compared with over 500 million for the whole EU, argue that the proposed accord would undermine labor, environment and consumer standards. Proponents say it would yield billions in added trade through customs and tariff cuts and other measures to lower barriers to commerce. At the same time, the EU says it will keep in place the region’s strong safeguards on social, environmental and labor issues.